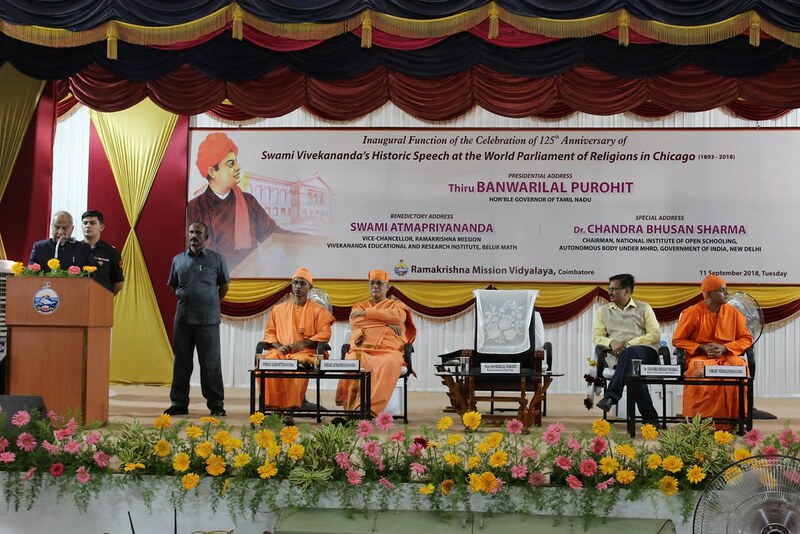 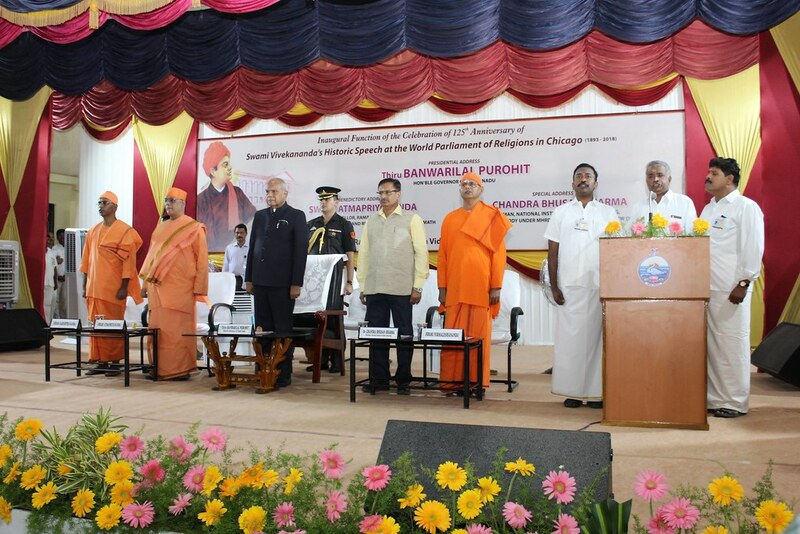 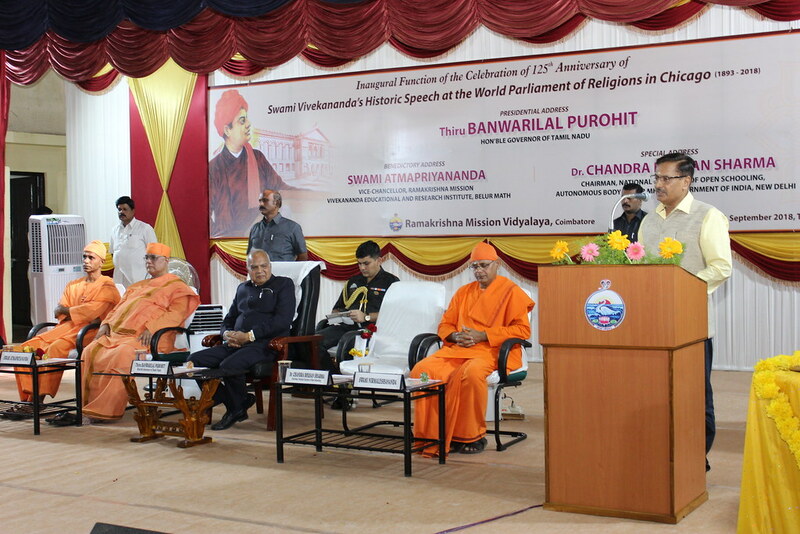 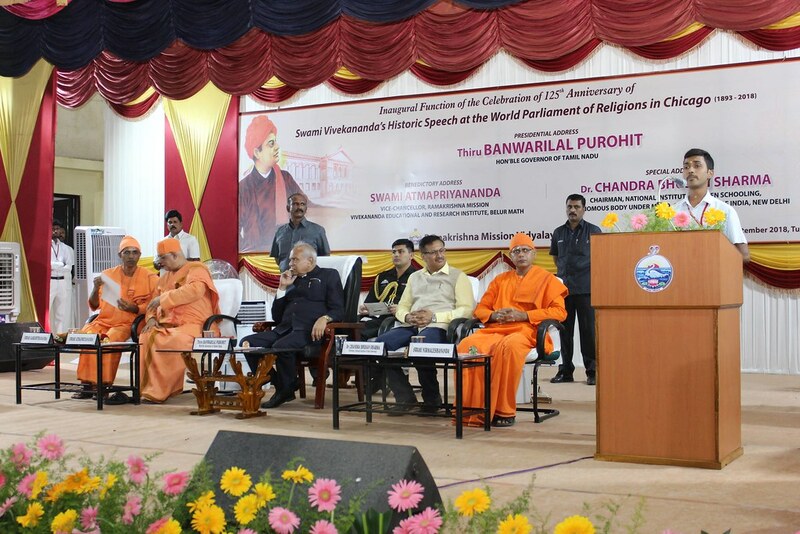 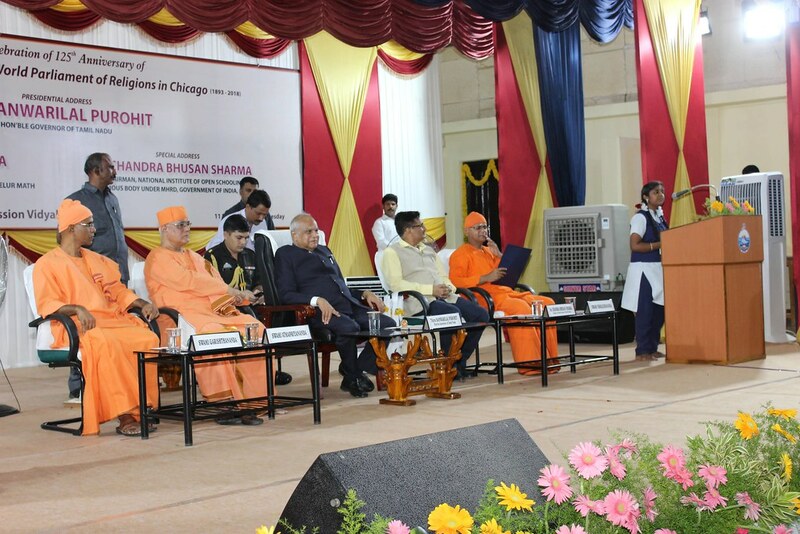 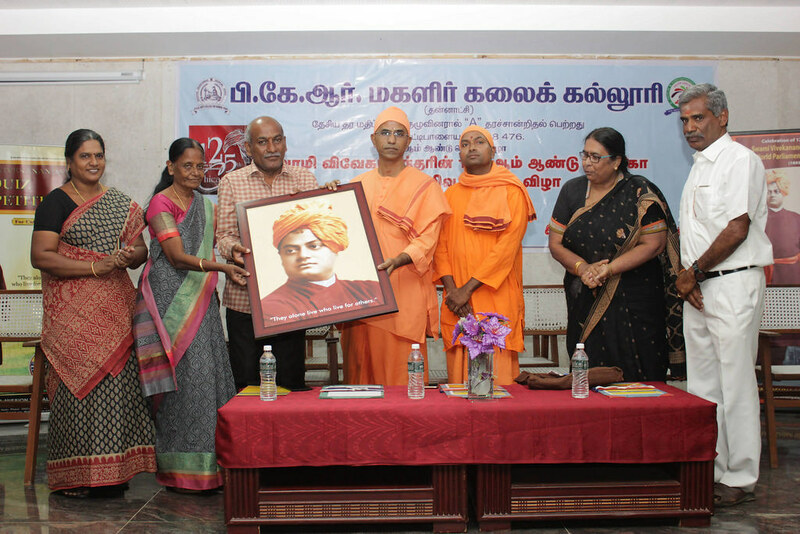 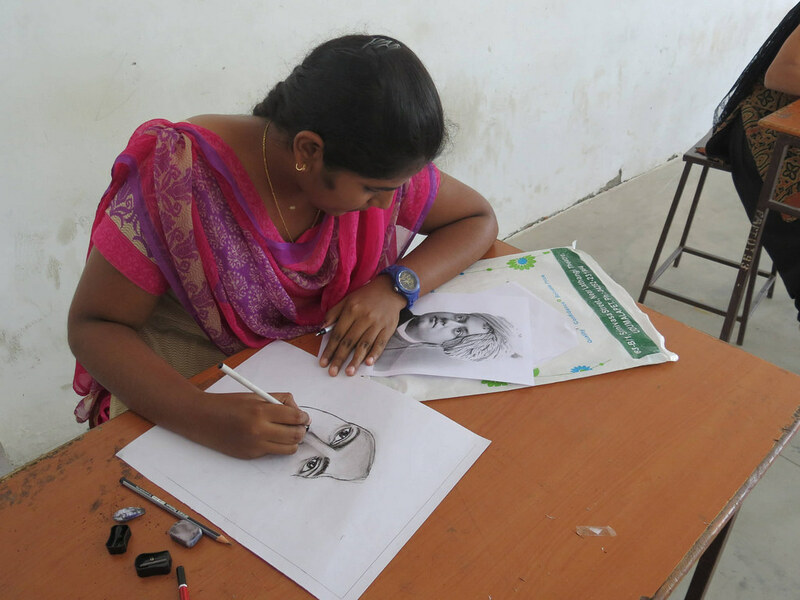 Ramakrishna Mission, Coimbatore celebrated the 125th Anniversary of Swami Vivekananda’s Chicago Addresses. 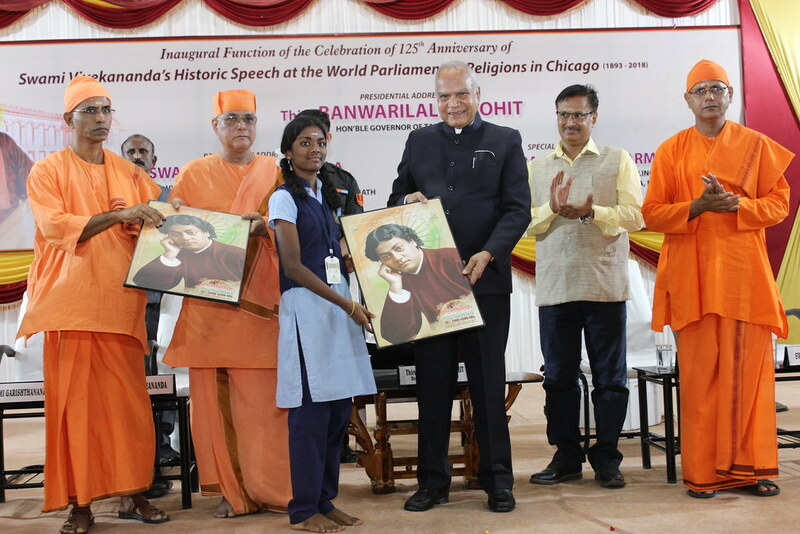 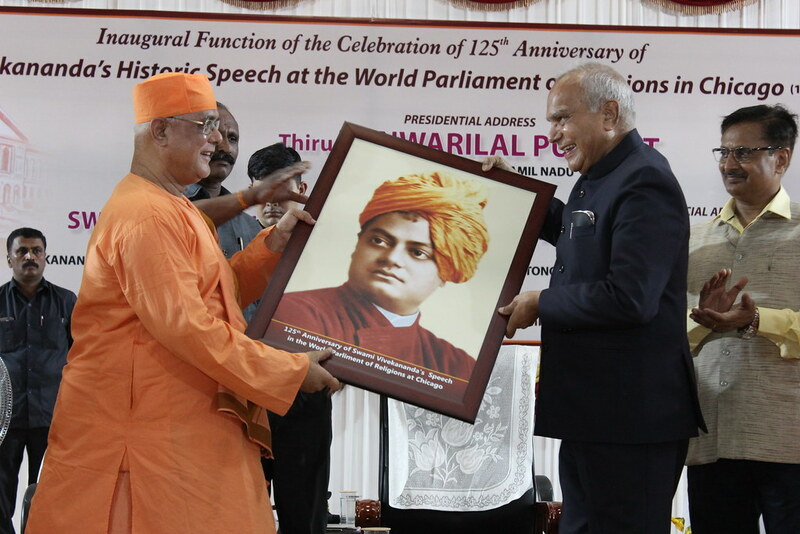 The inaugural function of the yearlong celebrations of 125th Anniversary of Swami Vivekananda’s Chicago Addresses was held on 11 September 2018. 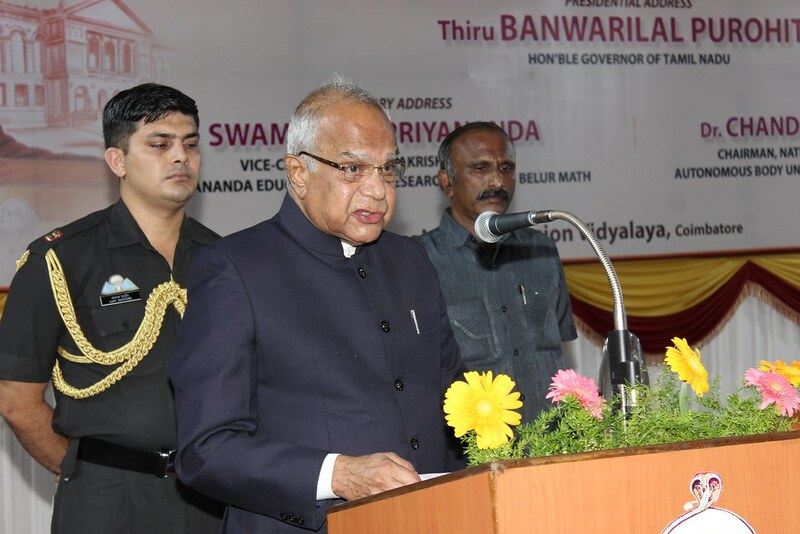 Thiru Banwarilal Purohit, Hon’ble Governor of Tamil Nadu presided over the function and delivered the Presidential Address. 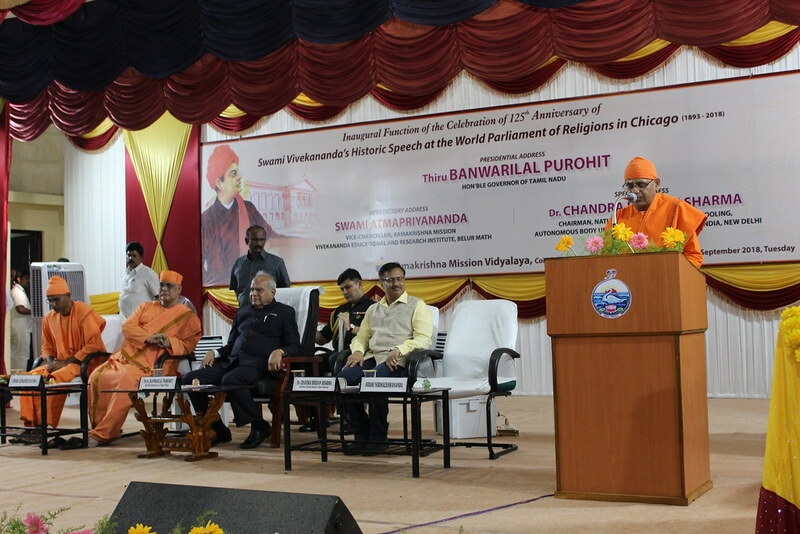 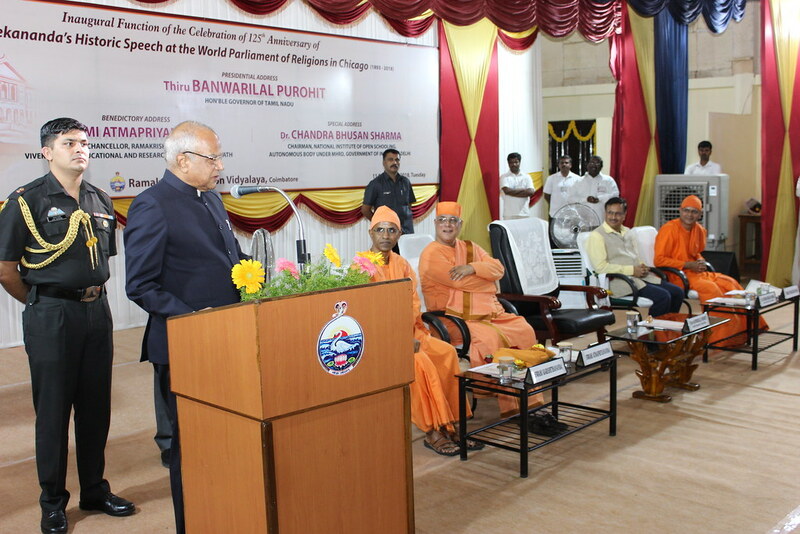 Swami Atmapriyananda, Vice Chancellor, Ramakrishna Mission Vivekananda Educational and Research Institute, Belur Math, and Dr. Chandra Bhushan Sharma, Chairman, National Institute of Open Schooling, Autonomous Body under MHRD, New Delhi were the chief guests and delivered special addresses. 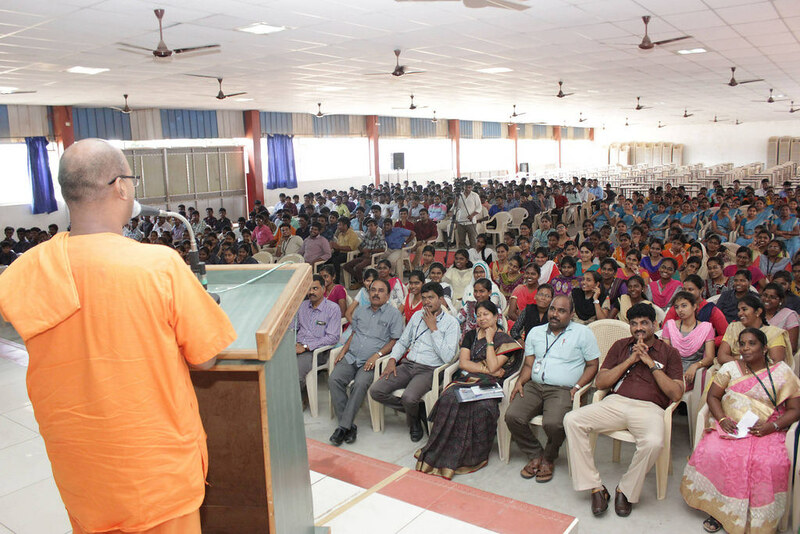 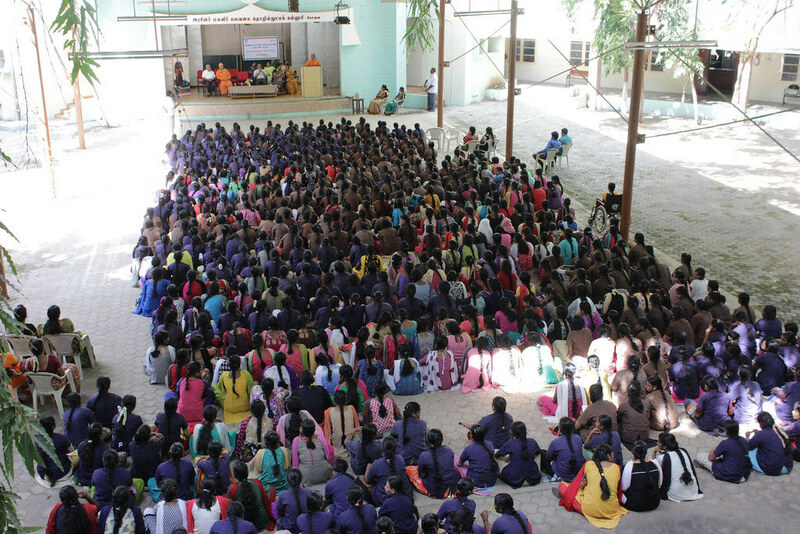 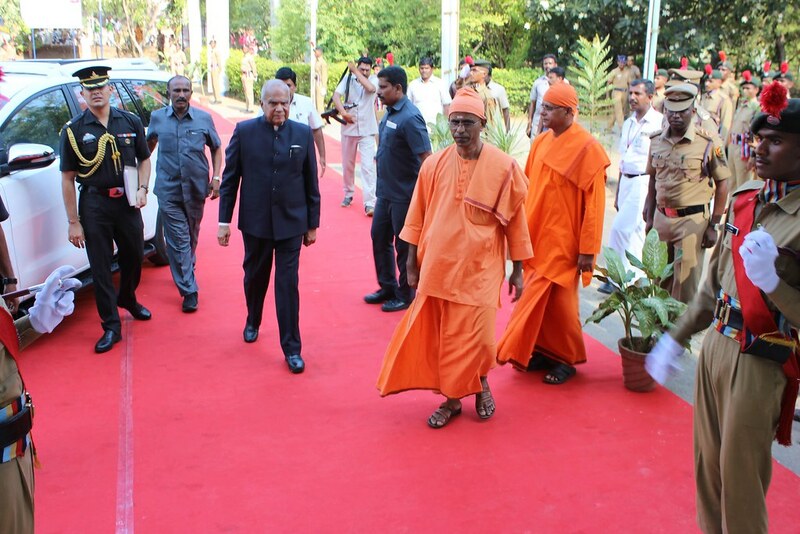 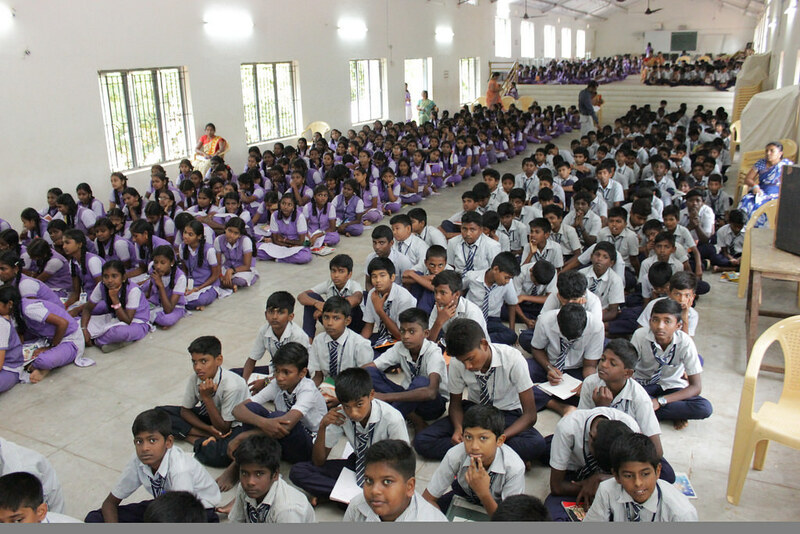 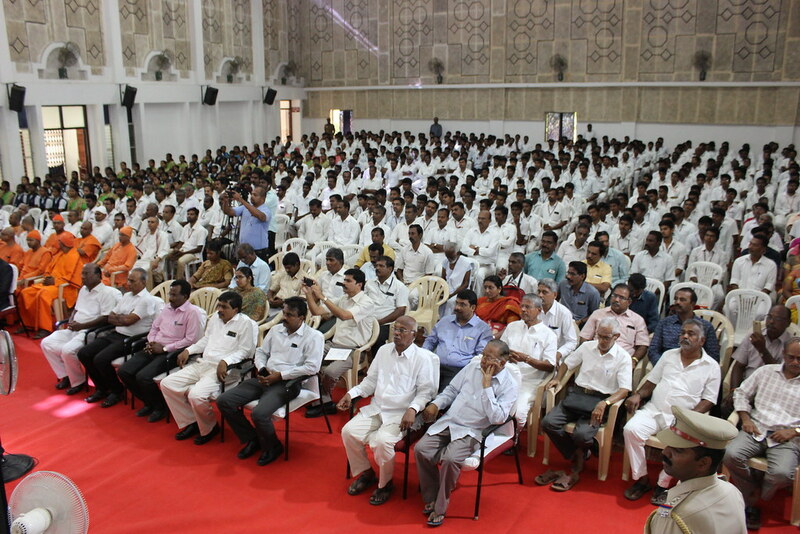 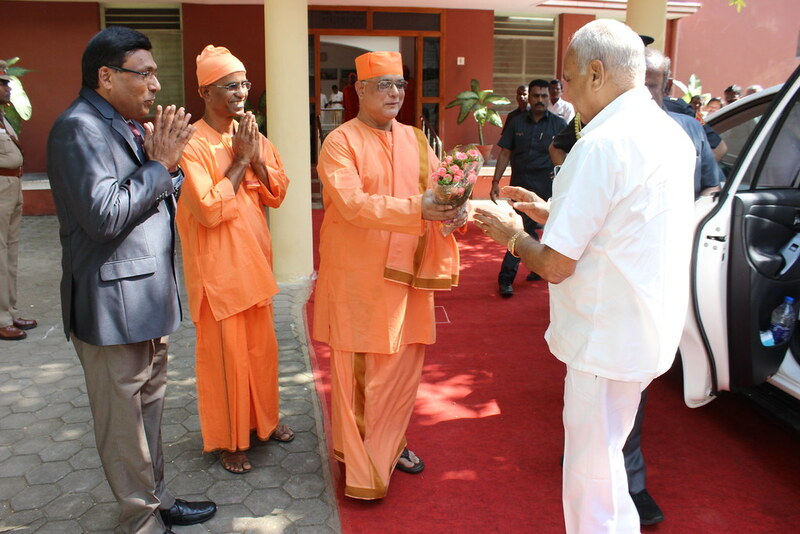 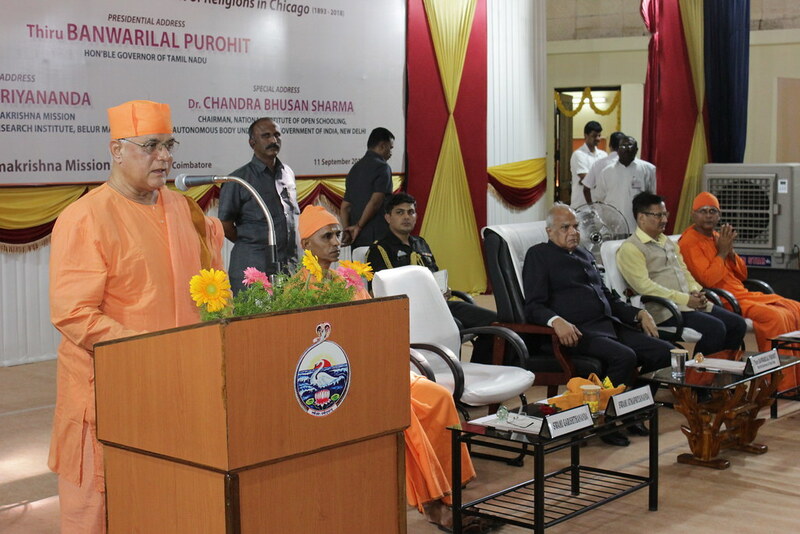 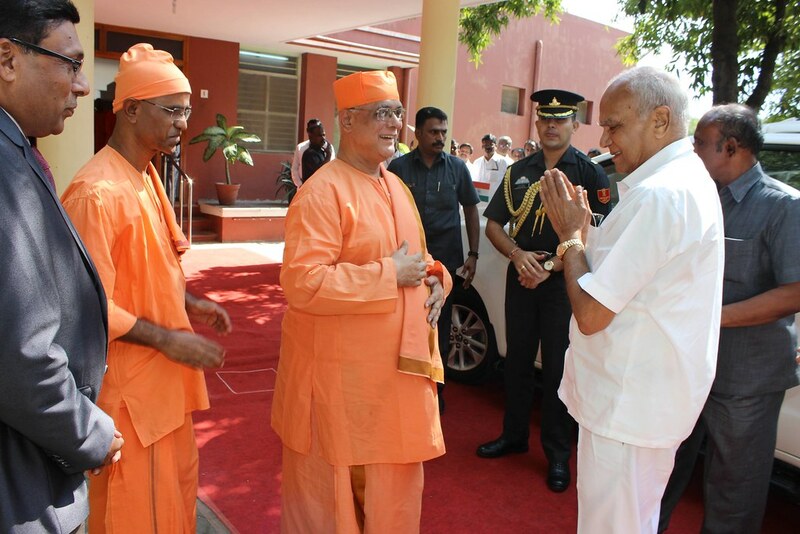 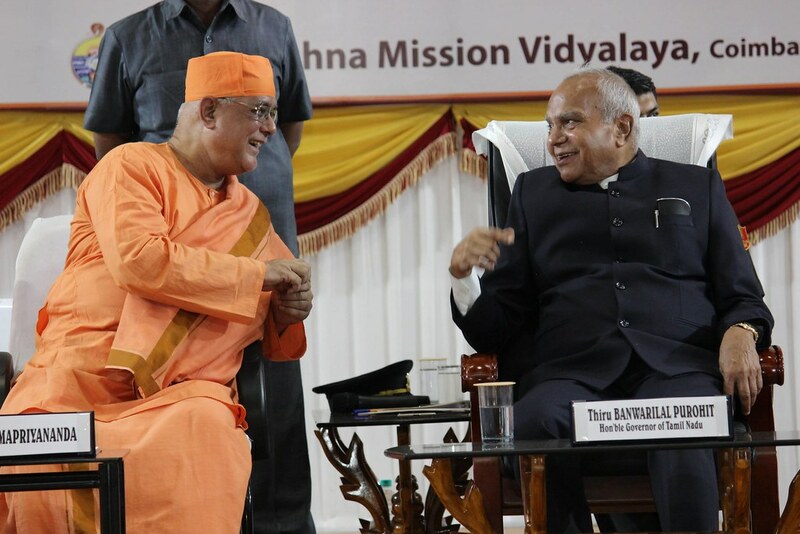 Around 700 students, staff, devotees and well-wishers of the Vidyalaya attended the function. 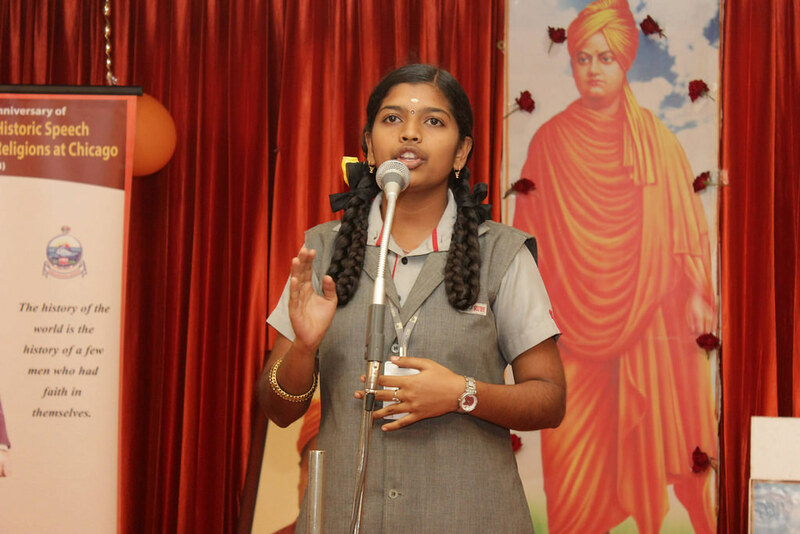 Ramakrishna Mission, Coimbatore conducted drawing, recitation, elocution and quiz competitions in the following 16 educational institutions from 22 August 2018 to 24 September 2018. 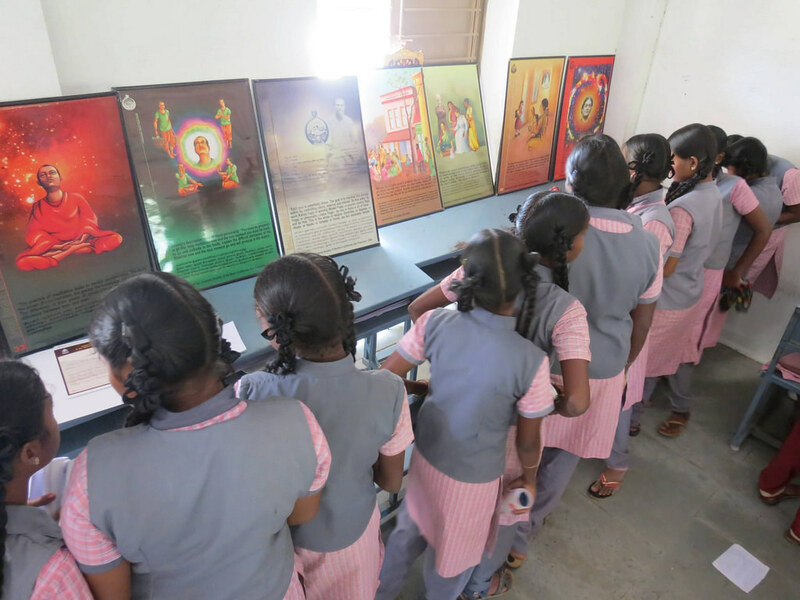 In the forenoon the Mission conducted these competitions which was followed by a gathering of students in the afternoon, in which prizes were awarded. 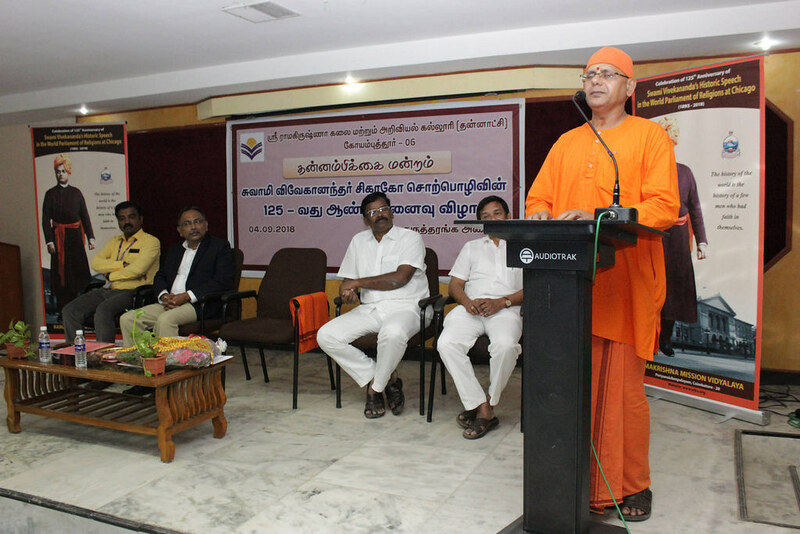 A monastic member of the center gave a talk. 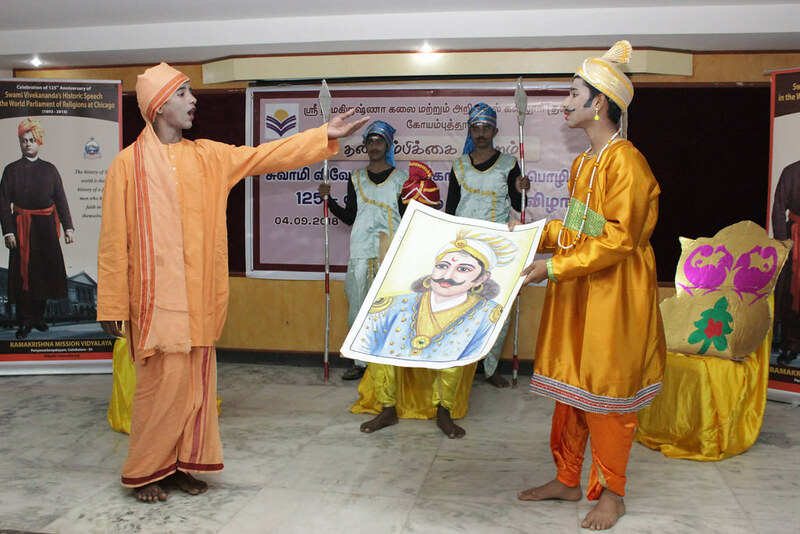 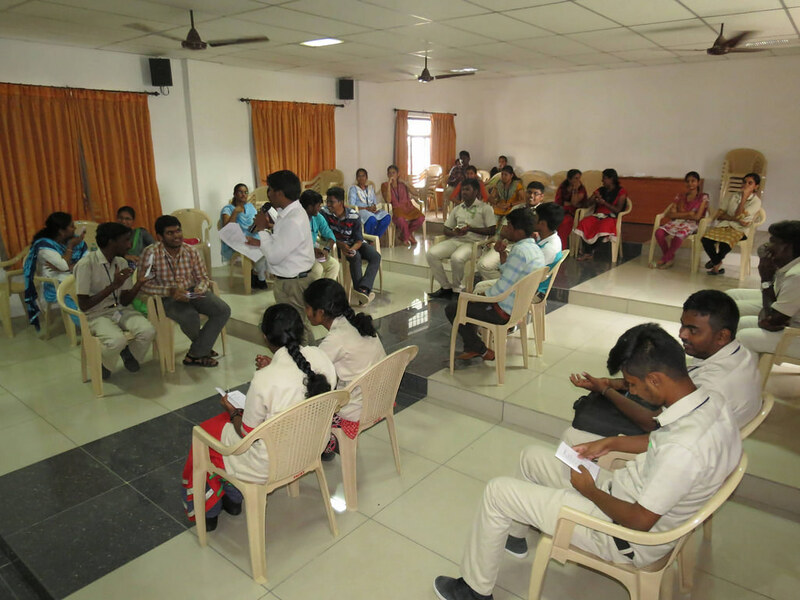 Students performed a skit on the incidents from the life of Swami Vivekananda.